For starters, let’s explain what Cannabis Trichomes are. Have you ever heard about them? Well, they are the hairs found on the surface of plants, usually unicellular and glandular. The trichomes are the piece responsible for producing the cannabis plant’s cannabinoids and terpenes. Terpenes, TCHA, CBDA and other phytocannabinoids that cannabis is known for, are made by resin glands contained in trichomes. Tiny little crystals covering cannabis leaves, flowers, and stems are the trichomes. Although it is more visible on the cannabis flower, the sticky feeling you get when touching cannabis, is caused by a high accumulation of trichomes. Bulbous Trichomes are the smallest of the brunch, they can only be seen with a microscope, they appear on the whole surface of the plant, and there are still questions about its cannabinoids production. Capitate Sessile Trichomes are slightly larger and more abundant than Bulbous Trichomes, but they are also seen only with a microscope. This type of Trichome is usually found on the underside of the leaves. Capitate-Stalked Trichomes are mushroom-shaped, and they have a large bulb at the head of the stalk. This is the type of Trichomes is the largest and most abundant. Consumers can quickly recognize these since they can be seen with the naked eye. They are usually found on the surface of the flowers and rarely seen on leaves. Now how are cannabinoids made? Through biosynthesis within the trichome cells, cannabinoids are created. Huh? The enzymes catalyze a series of different chemical reactions producing with simple molecules more complex molecules. It is three-step progress for a cannabinoid biosynthesis which is binding, prenylation, and cyclization. Still unsure what any of that means? This synthesis will begin as cannabis plants go into their blooming phase. When they start producing flowers, trichomes will form along the exterior of the above-ground vegetation of the cannabis plant and start transporting vacuoles and plastids from their stalk into the gland head. When this happens, the cells within the gland head will start metabolizing and forming precursors for what you know as cannabinoids. The production of trichomes in cannabis plants depends on various factors such as the environment they’re grown in, and genetics. 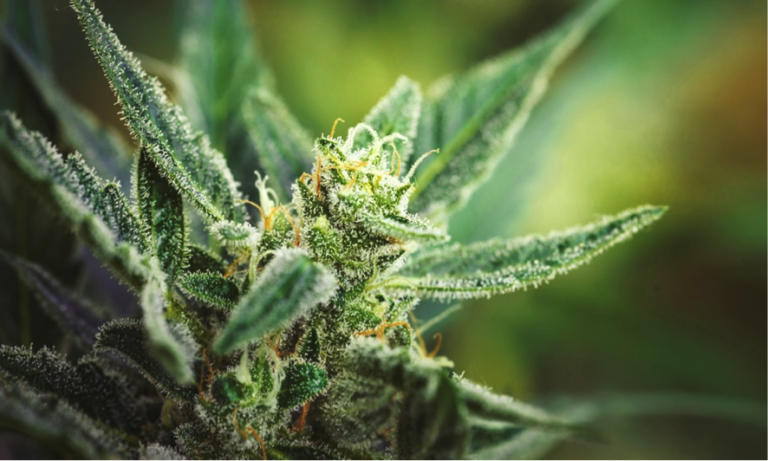 UV lights, heat, physical contact, oxygen, time, and other exposure can directly impact the production of these trichomes with a risk of degrading them. Many different cannabis effects come from the development of the this element, therefore, it is recommended that the growth of a cannabis plant is closely watched.